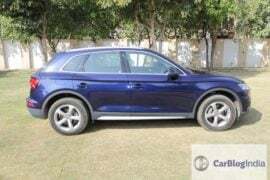 The original Audi Q5 was the first SUV from the manufacturer and holds the title of the most selling car worldwide from the brand. The same was launched in India a year later in 2009. 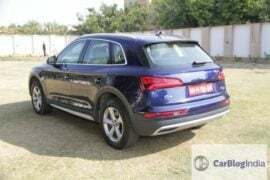 The Indian Audi Q5 was locally assembled at the company’s plant in Aurangabad, Maharashtra. 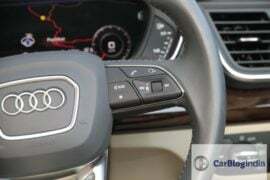 The facelift followed in 2012 with new and improved engines, the second generation of Audi Multi-Media Interface (MMI) amongst other updates. 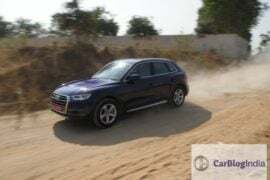 Read on for our 2018 Audi Q5 Test Drive Review. 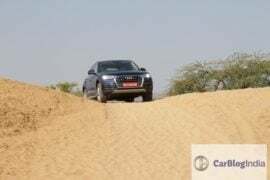 Audi is all set to launch the second generation Q5 in India now. Revealed at the 2016 Paris Motor Show, the new Q5 went on sale select markets in 2017 itself. 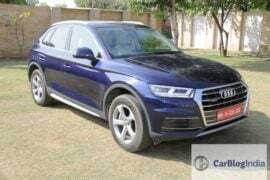 Come 2018, we are finally receiving the updated model and allow me to take you through the updates and changes featured on the second-generation Audi Q5. Based on the MLB platform, the new Q5 is as similar to Q7 underneath as it looks on the outside. Losing an average human in weight means the new model is lighter and improved engines now offer more power as well as refinement. Technically not much has been carried over from the last generation and whatever has been, is updated to a great extent. 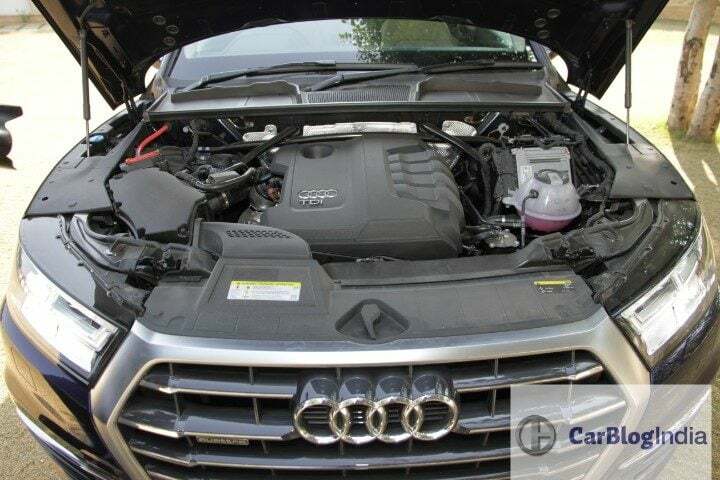 Audi vehicles are known mostly for two factors, the Quattro all-wheel drive and the versatile nature of their cars. The 2018 Audi Q5 is no different as it takes on the likes of Mercedes GLC, BMW X3, Volvo XC60 and the Jaguar F-Pace. 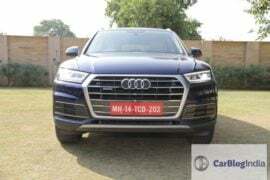 The Audi Q5 is not as agile as the X3, not as safe as the XC60, almost as comfortable as the Mercedes GLC so it’s another all-rounder from the German manufacturer. Take this, if you are a surgeon, you need a surgical knife but otherwise, a kitchen knife would be easier to carry, versatile in nature and easy on the pocket as well. Sure, the surgical knife can cut through almost anything seamlessly, but do you really care if your salad is cut unevenly? This is exactly what Audi offers with the all-new Q5. 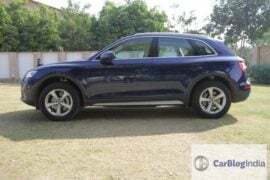 If you want the sportiest crossover, go for the BMW X3 or the Jaguar F-Pace, if comfort’s your preference go blindly for the Mercedes GLC and if, like me, you are scared to tread out on roads considering your safety, go for the Volvo XC60. 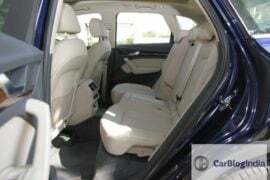 The 2018 Audi Q5 is the jack of all trades with enough power, comfort and safety features on board to offer you the perfect package. 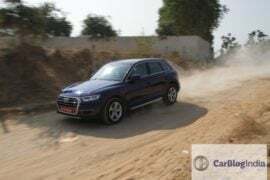 You can either purchase a BMW X3 for track days, a GLC for those red carpet moments, a Volvo XC60 for when you are travelling through Uttar Pradesh or just buy an AudiQ5 and reap the benefits of all three, in one SUV. 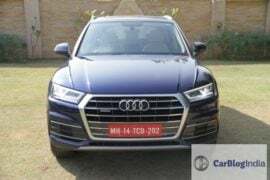 The all-new 2018 Audi Q5 has grown in accordance with the car it replaces. The new Q5 measures 4.66m long, 1.89m wide and 1.66m tall, hence taller and longer than the outgoing Q5. 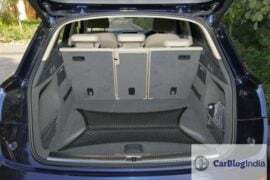 The wheelbase has stretched by almost 20mm to 2.82m and all of it goes into making the cabin more spacious. The exterior of the all-new Audi Q5 doesn’t look all-new. It looks like a compact Q7 from the front, slightly updated outgoing Q5 from the side and rear. 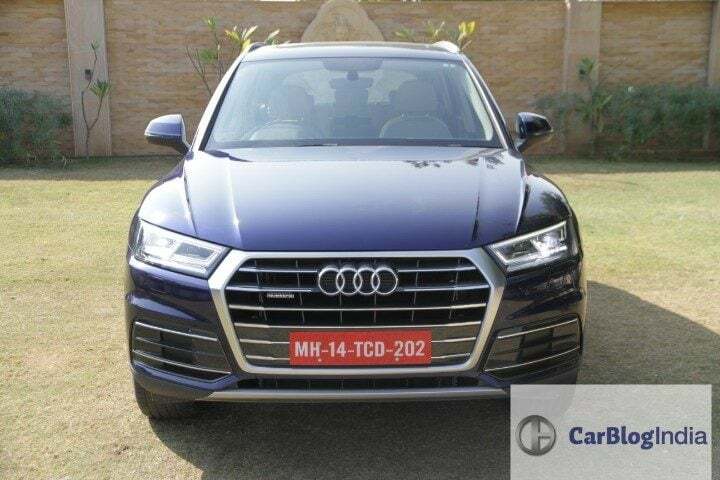 The big hexagonal grille with matte chrome surround, signature LED headlamps to signify the similarities between the Q5 and the Q7. 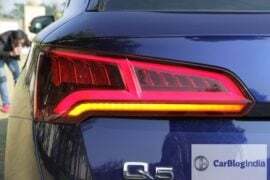 Despite the LED pattern on the tail lights, the rear looks absolutely similar to the outgoing model. This means that the car looks quite similar to the one it replaces and that is actually not a bad thing. With constantly changing shape, older products lose their value abruptly while the old Q5 will be able to retain its value. 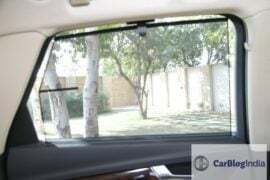 Moreover, this also means that the company deployed its services elsewhere which translates to more investment on the interior, platform, engines etc. Unlike the exterior, the 2018 Audi Q5 features a revolutionary update. The all-new design cabin feels fresh as soon as you enter. The displays are well laid out and the buttons are well within the reach of the driver. The first thing you’ll notice is the Audi Virtual Cockpit that presents high definition display and can be customised to your requirements with endless display options. The 12.3-inch screen doubles up as a tachometer, GPS, infotainment screen and much more. 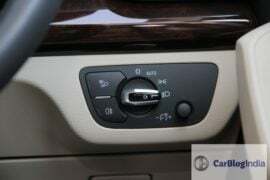 Nearly everything from headlights, to wipers to climate control to suspension settings is automatic and the vehicles handle such pity tasks for you. 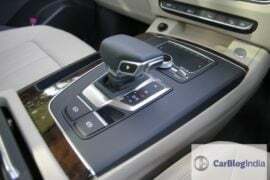 The ones upgrading from manual vehicles will feel unwanted as the only task they got to perform now is to steer and brake the vehicle. 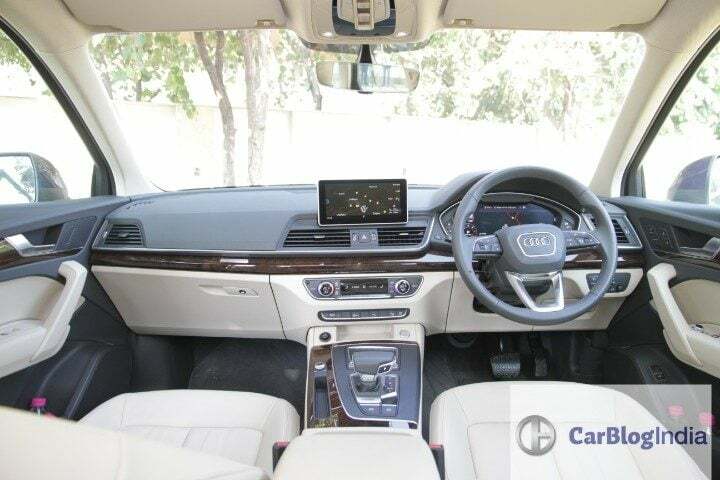 The all-new Q5 even learns the route you take often and the GPS adapts accordingly by automatically starting navigation and suggesting routes according to traffic conditions. 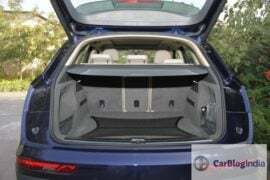 The boot also features a boost in size by 10 litres and now sits at 610 litres. 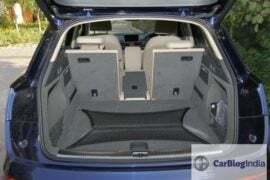 The rear seats can be folded down in 40:20:40 specification individually and once the rear seats are flat, the boot space increases to 1,550 litres. 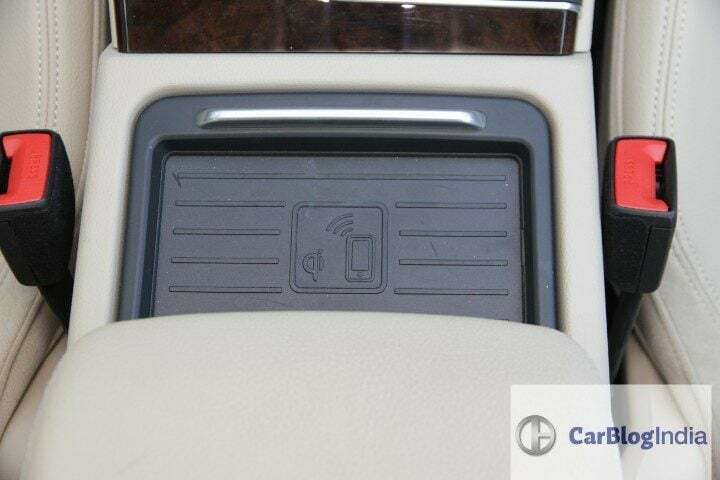 A powered tailgate comes as standard and can be operated via a button on the boot, a button near driver’s seat and via the smart key itself. 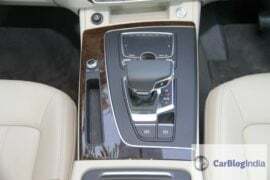 The boot on the new Audi Q5 matches to that of the BMW X3 and the Mercedes GLC exceeds to that of the Volvo XC60 and is only short of the one on the Land Rover Discovery Sport with the latter offering seven seats as compared to the Audi Q5 that offers just 5. The 2018 Audi Q5 comes with the 2.0-litre TDI diesel engine that makes 8% more power than its predecessor. The 170 bhp power and 400 Nm of torque output offer enough grunt and the S-Tronic 7-speed gearbox does the job. Floor the throttle and the Q5 rushes towards the horizon like a six-cylinder engine and while the hesitation is evident, you will hardly notice it in everyday driving. 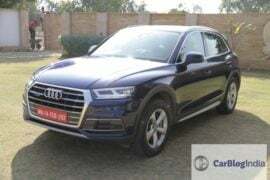 If you are enthusiast kind, why would you go for the Q5 in the first place. 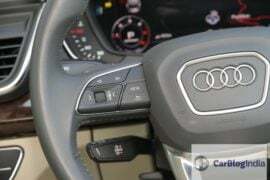 The traction control, even when completely turned off, does cut the throttle out and with Audi’s new clutch saving technology on board, the engine rpm will be limited to 1200 rpm with the brake lever pressed. You guessed it, that translates to no launch control. 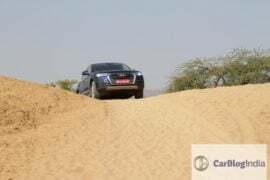 The brand new Audi Q5’s road handling capabilities shall be discussed in a diverse manner i.e. comfort and sportiness aspects. 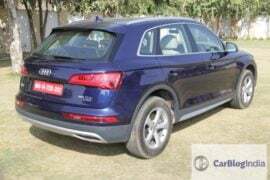 The Q5’s raised driving position does give the driver a good view all around but the bulky rear section can be a little misleading at times. 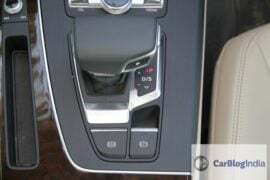 To tackle this, Audi provides its customers one of the best reversing systems with sensors all around and a perfect reversing camera. 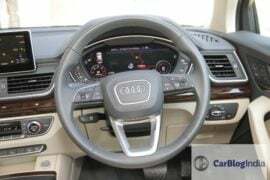 The 2.0-litre engines available on the 2018 Q5 are unbelievable smooth and pulls right away at almost any speed. The pull is not a shattering 918 type pull but actually provides enough punch you expect from a six-cylinder engine. The steering is light enough for easy low-speed manoeuvrability and weighs up nicely as you speed up. 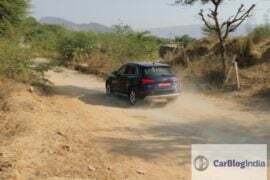 The Audi Q5 comes fitted with the Quattro all-wheel drive means you will be able to tackle almost any surface with ease and confidence. 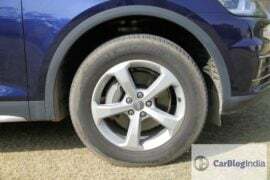 Audi Q5 was never known for its cornering ability and this continues in the current generation. 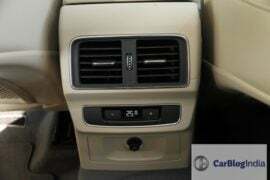 The 2.0-litre diesel engine offers a good punch and a decent mid-range with ample power throughout the power band. 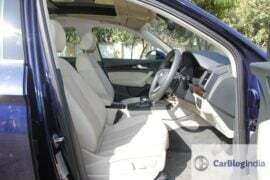 Each time you accelerate in either of the four-cylinder engines, it is sure to put a smile on your face, or a frown if you are scared of instant acceleration. 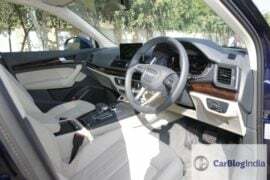 The engine revs hard and the gearshifts are lethargic yet precise when you leave it in automatic or take control with the steering wheel-mounted paddle shifters and shift according to your requirement. Handling is much improved as compared to the outgoing model thanks to new and improved Quattro all-wheel drive. There’s plenty of grip on offer but the way the steering weighs up on high speed feels rather artificial. 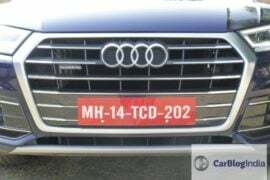 Audi claims an ARAI certified mileage of 17.01 kmpl. The company claims to have boosted the fuel economy by 20 percent as compared to the model it replaces. 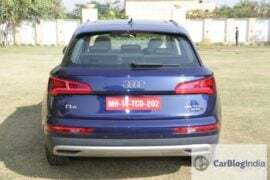 During our short stint with the vehicle, we believe the figure is pretty much achievable as the 2.0-litre TDI engine is pretty frugal. 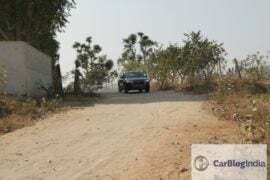 Over a distance of 49 km with a mix of city and highway driving, our car displayed an average fuel consumption of about 13.4 kpl with the vehicle being driven in dynamic mode all the time. 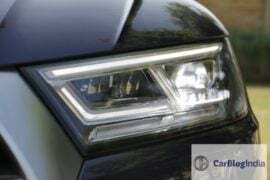 The upcoming 2018 Audi Q5 received 5 star Euro NCAP rating and that says it all. The upcoming SUV from Audi features various active as well as passive safety features. 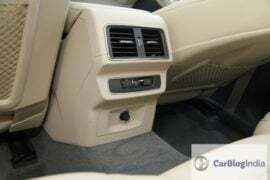 The list includes 8 airbags including rear side airbags, tire pressure monitoring system amongst others. 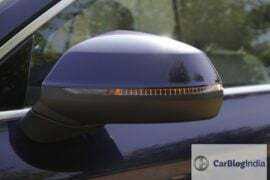 The Audi Parking System plus activates as soon you as the car comes to a halt with the all-around sensors providing enough visual as well as acoustic feedback for manoeuvring. 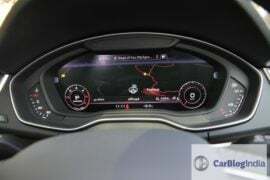 The first and foremost feature that definitely stands out is the Audi Virtual Cockpit which features a high-resolution display in place of the instrument cluster. The display is customisable and offers literally all the data one can ask for and then some. 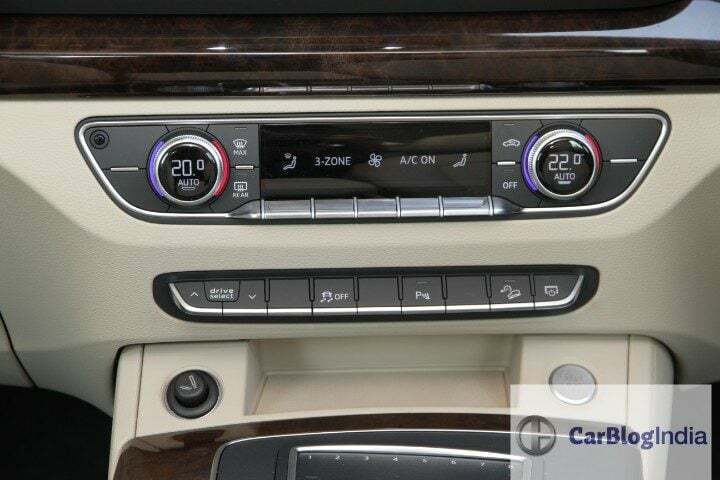 The MMI screen is an 8.3-inch display sitting on the dashboard and is controlled using the touchpad as well as the joystick. The MMI touch offers 8 different buttons for your favourite commands as shortcuts and you can simply engage with a mere push of a button. Furthermore, the MMI offers direct connectivity to both Apple as well as Android smartphones. The Audi Phone Box offers storage space for your smartphone and charges it wirelessly. 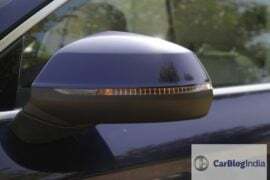 This also doubles up as a signal booster as the Q5’s antenna doubles up as a phone signal booster as well. 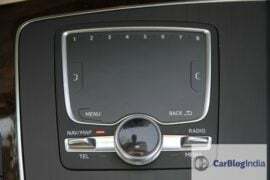 The Audi Sound System offers 10 speakers with a total output of 180 watts and it does sound good. 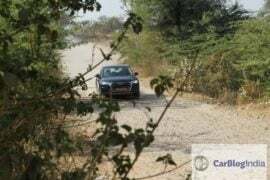 If the 2018 Audi Q5 excels in any area, this is it. 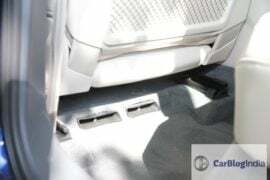 Start the car and it almost feels like an electric with zero noise from the engine compartment creeping into the cabin. 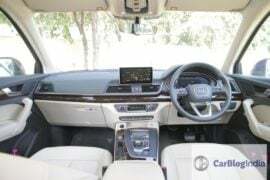 Driving the Q5 at speeds excess of 100kph does make a little tyre noise but you end up noticing it only because the car otherwise is super quiet. 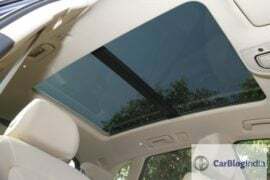 The acoustic windscreen helps in keeping the wind noise out and improves the central subwoofer performance. 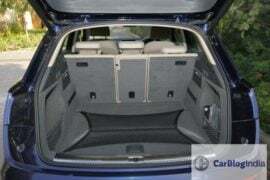 Headroom in both rows is adequate and the rear can fit three adults side by side. The middle person does have to adjust as there’s quite a hump in the floor. The rear door doesn’t open full 90 degrees and this does hamper the accessibility factor. 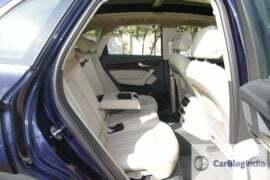 The rear seats do offer versatile options and the 40:20:40 seat layout can be individually folded, reclined or slide forward/backwards. > The MMI screen is fixed and not retractable. 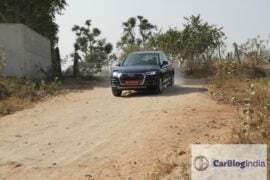 What’s your take on our 2018 Audi Q5 Test Drive review? Share your views with us by penning them down in the comments section below.